Last spring I introduced everyone to Ahiflower oil as my favorite vegan omega-3 source. Since then I’ve included it in dozens of smoothie and soup recipes for a daily omega-3-6-9 boost. I do this for myself and my kids because there are so many health benefits for us keeping our omega-3 levels topped up: joint, skin, immune, and hormonal support among them. Since my last post, some interesting new science supporting brain wellness and inflammatory response health has been published. In May, the journal Nutritional Neuroscience published a University of Illinois study that looked at which omega-3 fatty acids are most responsible for protecting brain integrity and fluid intelligence as we age. The authors found that the plant-derived “precursor” omega-3 fatty acids including ALA (alpha linolenic acid) and SDA (stearidonic acid) are important predictors of fluid intelligence and brain cortex size in healthy seniors. Surprisingly, they did not find this to correlate with EPA and DHA (the main omega-3 fatty acids found in fish and krill oil). Fluid intelligence is a person’s capacity to deal with real-world problem-solving — like navigating through a new city or operating a new device — that relies on inductive and deductive reasoning rather than prior “crystallized” knowledge and experience. The authors found that supporting one’s fluid intelligence “may be ameliorated” by certain omega-3 fatty acid intakes. This was the first study to determine which omega-3 fatty acids are responsible for fluid intelligence in healthy seniors and, further, that these “precursor” fatty acids also mediate the size of the frontoparietal cortex (FPC) which is the part of the brain that drives fluid intelligence. The findings show that higher circulating SDA could be a key to maintaining FPC brain integrity as we age. And guess what? Ahiflower oil has the highest levels of SDA in any dietary oil (~20%). Speaking of SDA — I’m starting to call it my “smart daily advantage”. Another study published in the research journal Lipids in July found that SDA is as effective as DHA in its anti-inflammatory cell signaling pathways. DHA is the dominant omega-3 found in algal oils and a major component of marine animal oils (fish, krill, squid, etc.) People take DHA primarily for anti-inflammatory and brain support functions. Based on the latest Lipids journal findings, it looks like SDA has comparable anti-inflammatory response mediation activities. 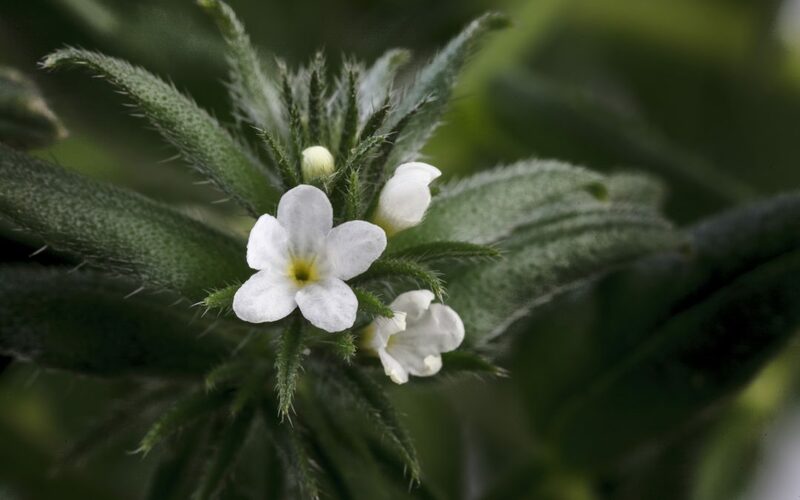 So again, Ahiflower rises in my esteem and is clearly an excellent anti-aging ingredient helping you and your family look well, feel well, and move well. Unlike marine-based omega-3 oils, which take away forage fish like sardines, mackerel, and anchoveta from sea lions and other marine life, Ahiflower is grown sustainably and traceably by independent farmers in the UK. And unlike algal oils which have “low tide” taste and smell issues, my recipes show how versatile and clean-tasting Ahiflower oil really is. Use it every day for peace of mind and body! To find out more about Ahiflower visit www.ahiflower.com and to buy the pure oil visit the Pure Solutions Ahiflower product page at www.amazon.com.